Jeff Herring: Welcome, folks. This is Jeff Herring and with me in the studio is Alun Richards. We’re doing something interesting today. 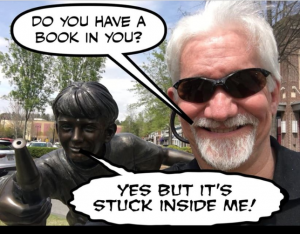 This is a brief little interview because Alun is uniquely equipped to help you finally create and publish your book. We’re doing a webinar on that later in the week that we’ll tell you about how to be a part of soon, but for right now, Alun, welcome and thank you for taking the time to do this interview. Alun Richards: Jeff, thanks for inviting me. Jeff Herring: Glad you’re here, man. Now, most everybody knows if they’re online, if they’re doing some kind of service or helping people or doing something, that you need a book because it’s got such credibility, but just in case there have been a few people that had just came on an hour ago where they’d been under that rock for a long time. What’s the benefit of having a book? Alun Richards: Jeff, as I said, it’s all about credibility and authority. I mean, first, the first part of authority is author. You know, there’s a clue there. Jeff Herring: I like that. Yeah, that’s good. 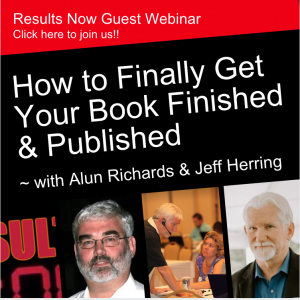 Alun Richards: A book gives you authority and it gives you credibility in your field. I think there’s no quicker way for people to distinguish themselves and set themselves apart in their field from the [inaudible 00:01:25] by publishing a book and that, I think, applies if you’re a consultant, a trainer, a therapist, even an entrepreneur, even an intrapreneur. Even if you’re working in an organization right now, it sets you apart from your colleagues. I mean, you could get your pay rise. Jeff Herring: There you go. Alun Richards: It’s all about getting credibility. Jeff Herring: I like that, and I like that play on words, that the first part of authority is “author.” Well, but of course. So, the world is full of stories about people with books that were never finished. So, what hangs people up? What’s the biggest sticking point and what’s the biggest myth they believe about creating a book that hangs them up? Alun Richards: You know, Jeff, there are so many and I’ve been at this now for about 10 years, 10, 12 years, creating books, helping people create books. There are loads and loads and loads, and all of these different problems happen in different parts of the production process, if you like, from planning to creating the book to publishing to marketing. So, if I were to sort of get the biggest one out of the way first, most people that I talk to still think, still think in this day and age, that they have to type it all up by hand. I’m here to tell them you simply don’t have to. 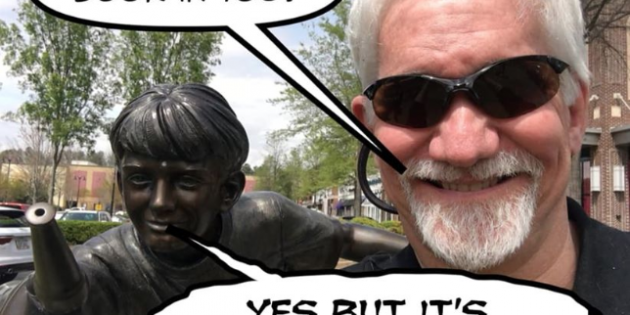 Alun Richards: I mean, you could use the available and relevant technology that allows you to work effectively and produce that book without having to spend months or even years typing it up. Alun Richards: For example, I’ll give you a little example. In the middle ages, monks used to use a quill pen effectively to transcribe a book and it used to take them years in order to do that. Alun Richards: Now, when Guttenberg released his printing press, they reduced that production process enormously. That was new technology then. Then came typewriters, so that increased the speed again. Then we had word processors but now you don’t have to do that. You don’t have to slave for months or years and type every word into a word processor. You simply don’t have to do it. There are better ways. Jeff Herring: That’s probably music to everybody’s ears. I know it is to mine, because when you talk about typewriters, I think back to when … I’m old enough to have written a lot of papers on a typewriter, you know? Having to get that stuff and fix the mistakes or get the piece of paper that would fix the mistakes. I don’t want to ever, ever do anything like that again. So, the whole notion of, okay, you’ve got this thing created and now how do you go about publishing a book nowadays? Alun Richards: Well, there’s the traditional avenue that most people think that that’s the only one available. Go to a traditional publisher. I’ll go into this in more detail on Wednesday, but I think for the vast majority of people who are listening to this, that’s one of the biggest mistakes. Jeff Herring: So for a $20 book, you’re getting a buck. Alun Richards: Yeah. Yeah, so you’re getting a buck or 50 cents. Jeff Herring: Oh my gosh. Alun Richards: For a book. However, if you publish, as I recommend people do, especially if it’s their first book, if you publish on Kindle, you can get up to 70% royalties, so you get 70%. Amazon gets 30%. 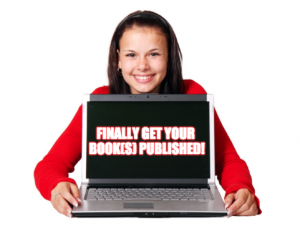 That’s instead of you getting 5% and the publisher, conventional publisher getting 95%. Alun Richards: It’s a hard one, isn’t it? Which one would you do? Jeff Herring: Yeah, 5% versus 70%. Wait a minute, let me work that out here. Yeah, that’s good math. I like that. I like that. That’s encouraging to everybody. You mentioned the webinar Wednesday. Tell us some more about what folks are gonna get when they come and spend some time with us. Alun Richards: Well, I’m really looking forward to that. So, what we’re gonna do, I’m gonna take you through more of the big problems that I’ve seen. These are practical problems that I’ve seen over the last 10 years that authors make and if we can come to the end of that webinar and people know what those problems are and know what to do instead, I think I’ll have done my job, because people really don’t realize what these problems are. If only they knew what they were, they’d be streets ahead of everybody else that they’re competing with. Jeff Herring: My guess is some of them are rather obvious and then some of them are probably hidden as well. Alun Richards: Absolutely, absolutely, absolutely. Jeff Herring: All right, so part of what we’re gonna do is you’re gonna show folks the big ones, the obvious ones and then also the hidden ones that they don’t even know are coming. Jeff Herring: Then on the other side of that is what to do instead, right? 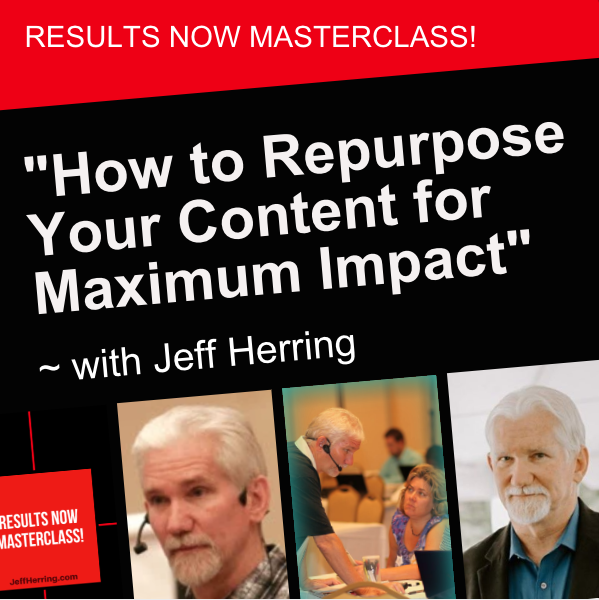 Jeff Herring: How to create, market … I’m sorry, create, publish and market. 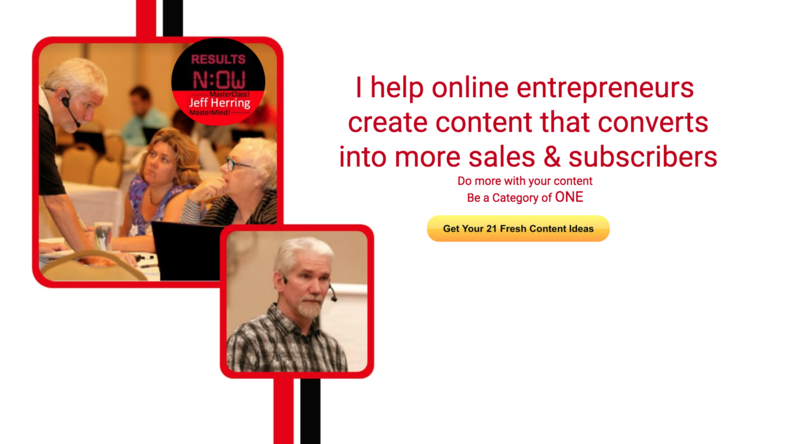 Jeff Herring: Your first or next book. 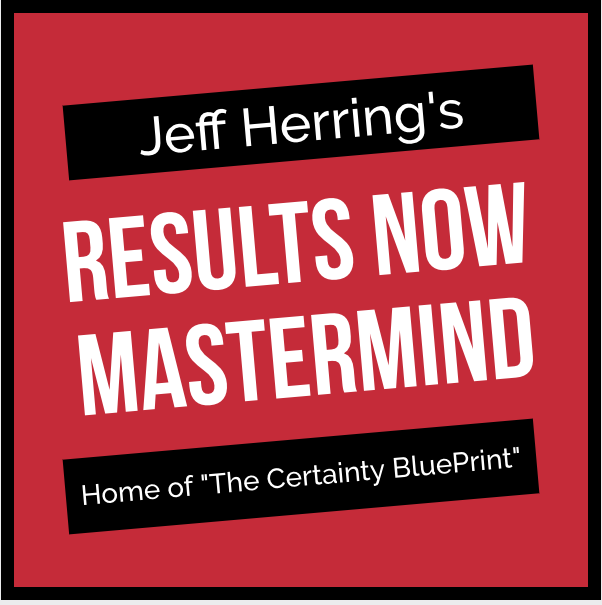 Jeff Herring: Is it harder to do your first or harder to do your next? Alun Richards: I think it’s probably harder to do your first because people try to do it all themselves and I can understand that. I can understand people wanting to do it and save some time, save some money rather, but honestly the process is complex. People do not realize how complex it is. I mean, I saw a discussion with published authors a few weeks ago and on the panel … So, these are published authors who coach people to produce books and on average they spent between eight and 10 years to produce their book, a conventionally published book. Eight to 10 years. People don’t realize this. Jeff Herring: Oh my gosh. So if you’re doing something about anything online, if it takes you eight to 10 years to do a book, you’re gonna have to update it every six to three months. Jeff Herring: That’s still three years and 11 months too long in my mind. Alun Richards: Indeed it is. Jeff Herring: Folks, take two things away. Take that link away, JeffHerring.com/your-book, and what Alun said. The main part of authority is author. I like that. I feel a meme coming on, Alun. We’re gonna have some fun promoting for that. All right, so, man, thanks for being with us, spending time with us all the way from across the pond, and I look forward to Wednesday. Alun Richards: My pleasure, Jeff, thank you very much for having me. Jeff Herring: Catch you soon.